It's not the kind of place where you'll find home-grown herbs and vegetable patches. 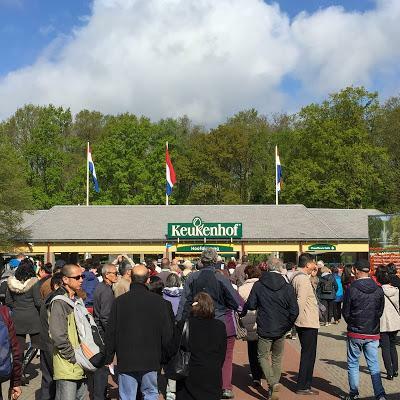 Keukenhof or Kitchen Garden is the annual gathering of Tulip growers in Netherlands where they get a chance to display their product (Tulips) to the industry and in the process stir up some business for themselves. 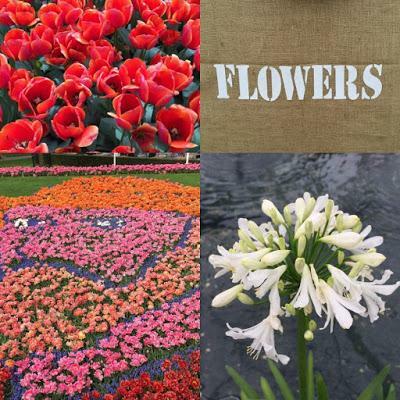 Obviously it has over the last half a century become one of the world's most known flower festivals where thousands descend every day to see the beauty of flora in all its colourful glory. 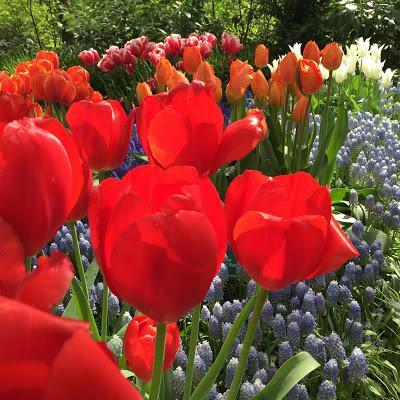 Keukenhof and the surrounding tulip fields (the ones you saw decades ago in the movie Silsala) are open for only a month and a half each year starting from end of March till middle of May. However if you want to witness the spectacular beauty of the fields, which is a sight not to be forgotten easily, you need to visit during the early half of the event as by the end they tend to slowly disappear. 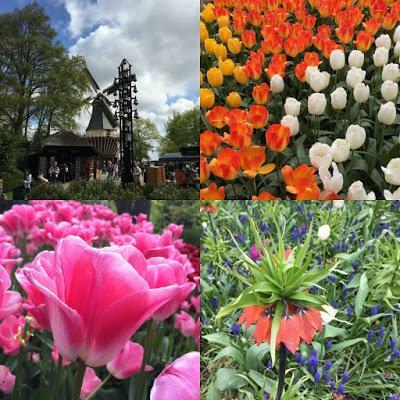 However, the main area of Keukenhof remains as vibrant and pretty on the last day as it does on the first day of opening. 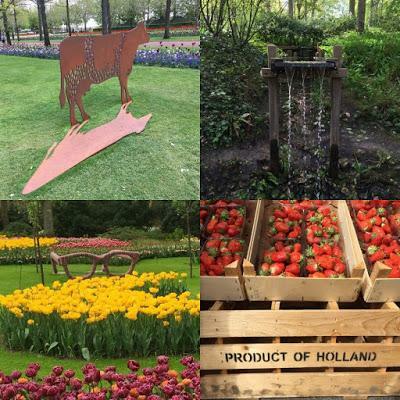 Spread over roughly 32 hectares, Keukenhof is obviously about tulips in unimaginable colours, but it is also full of features ranging from fountains and art installations to indoor exhibitions and even a grand windmill that you can climb up on to take in some views. Be prepared to walk, a lot, and good walking shoes are essential. 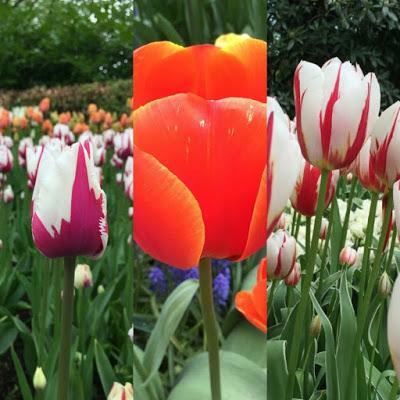 There are canals and streams that run around the park and it truly is a joy walking among rows and rows of flowerbeds each labelled giving information about that particular tulip and about the different tulip growers who are responsible for the displays. 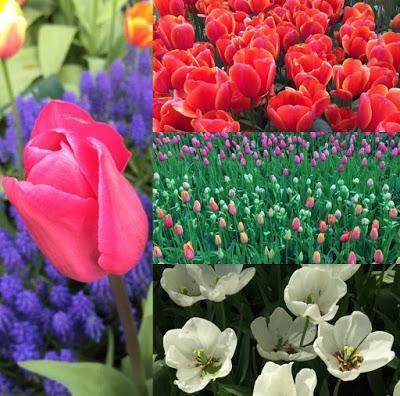 With close to "7 million bulbs in bloom...with a total of 800 varieties of tulips" Keukenhof is nothing short of a feast for the eyes. As is the case with most tourist spots, Keukenhof comes with little cafés and food stalls at different intervals throughout the park and then there are the obligatory souvenir shops and places where you can buy tulip bulbs (which sadly I've never been able to grow successfully in Indian weather). The entire park has signposts are regular intervals so getting lost isn't a worry, unless your sense of direction is horribly wrong. 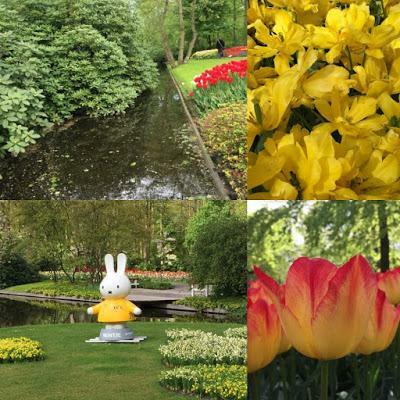 The park is divided into sub-gardens and each "garden" has something unique about it.It's important that when visiting Keukenhof you load up on your camera. There's a good chance you'll walk along clicking photos non-stop. Yes! It's that photogenic and pretty. 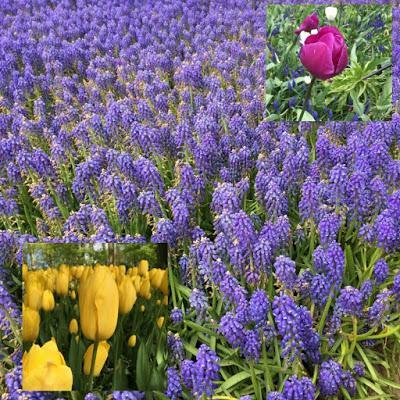 Visiting Keukenhof can be done via a number of ways; there are public buses that run from both Schiphol Airport and Amsterdam Central (Train Station). 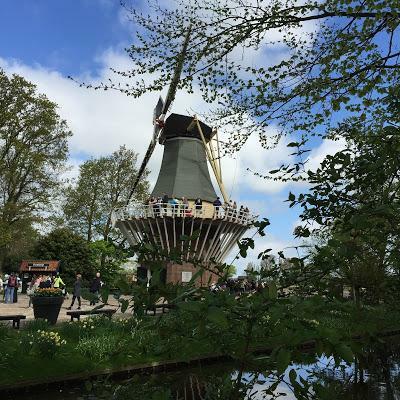 It's about an hour’s drive from central Amsterdam so if you want a more hassle free visit, you can always take one of the organised day-tours that takes care of everything. There's also the option of taking a canal boat ride but that's again favourable when the tulip fields are in bloom. If you really want a boat ride, an hour long boat ride is available once you're in Keukenhof (starting from behind the Windmill). 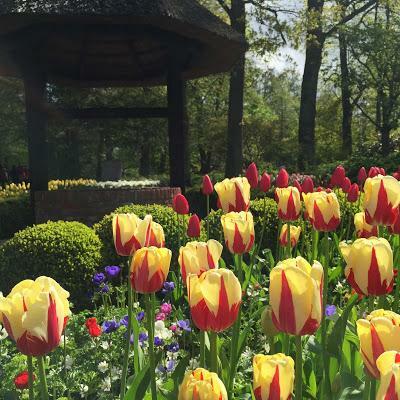 Keukenhof, because of its grand size and with so much splendour all around that one has to stop and take it all in, can be covered in entirety in about 3-4 hours provided you don't end up stopping for too long at any one place especially the petting zoo or the windmill. It also has a theme each year and in 2015 they celebrated the artist Van Gogh which is highlighted by a portrait of his made entirely out of flowers. 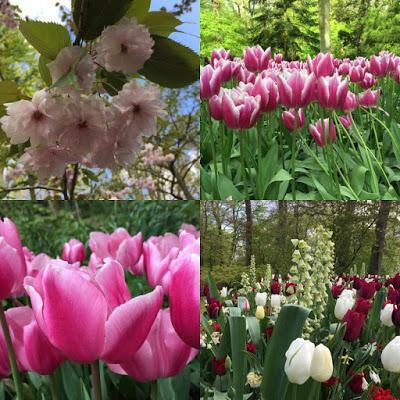 Keukenhof is definitely a once in a lifetime experience and because the duration of its opening is limited each year, it is something that shouldn't be missed should you happen to be in the area around then. 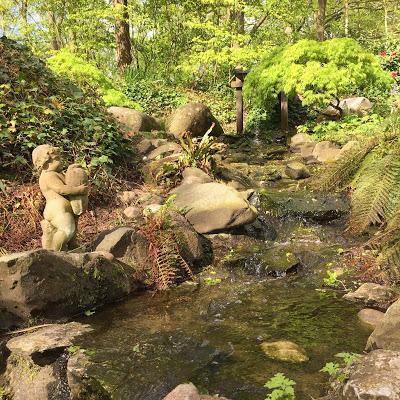 Moreover, while it is like a little playground for those that love nature and gardening that should not stop individuals with other interests to visit the park as photos don't do justice to the magnificent natural beauty that is hard to witness in the ever increasing concrete jungles around the world.